One of the most valuable techniques in problem solving I learned in the third grade. But it certainly wasn’t a lesson my teacher intended. This entry was posted in Uncategorized on April 17, 2019 by jamespropp. Collect content-summaries; return them at exams. The title of this essay, in which the word “flip” refers to the pedagogical innovation called the “flipped classroom”, is misleading because I’m not going to tell you how to run a flipped classroom. For those of you who haven’t heard, the flipped classroom approach to education is based on moving lecture-delivery out of the classroom and into the dorm room. No, not by having the professor show up in everyone’s dorm room to deliver content on an individual basis; that would be both impractical and improper. Instead, the professor prepares a video, and the students watch it on their laptops. That way, when the students show up in the classroom, they can focus on teacher-supervised activities that take their knowledge to the next level. This entry was posted in Uncategorized on March 16, 2019 by jamespropp. I’m the urban spaceman, baby; I’ve got speed. There’s an episode1 of a science-fiction television series in which space travelers land on a planet peopled by their own descendants. The descendants explain that the travelers will try to leave the planet and fail, accidentally stranding themselves several centuries in the past. Armed with this knowledge, the travelers can try to thwart their destiny; but are they willing to do so, if their successful escape would doom their descendants, leaving the travelers with the memory of descendants who, thanks to their escape, never were? Cartoon by Ben Orlin. 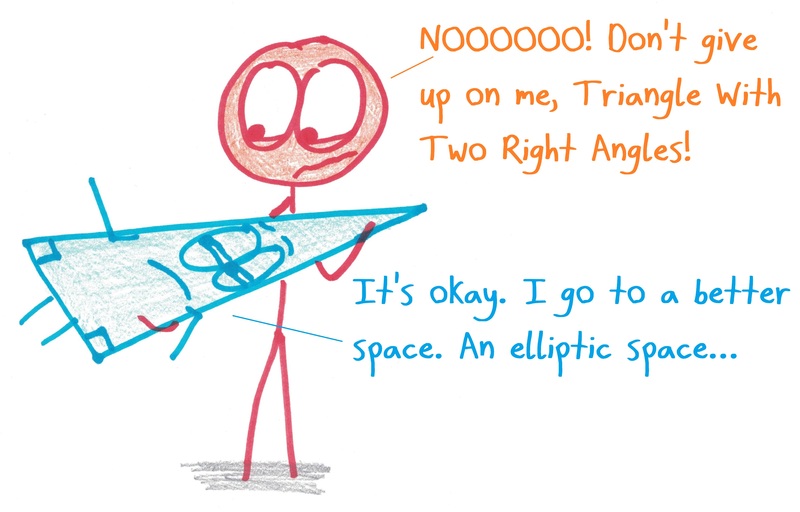 You can buy his book “Math With Bad Drawings”. This will be an essay about things that seem as if they exist but which, when you study them deeply enough, turn out not to exist after all. This entry was posted in Uncategorized on February 16, 2019 by jamespropp. I’m pleased to announce that the greatest holiday in mathematics is almost upon us: the jubilant festival known as THIRDSDAY! Thirdsday is that magical day on which we celebrate the wonder and mystery of the fraction 1/3. How come I haven’t heard of it before? This entry was posted in Uncategorized on December 31, 2018 by jamespropp. This entry was posted in Uncategorized on December 17, 2018 by jamespropp. 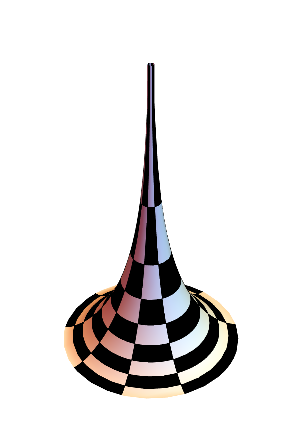 The wizard’s-cap graphic that appears at the top of my blog as part of the logo is a piece of an infinite mathematical surface called the pseudosphere. This entry was posted in Uncategorized on November 17, 2018 by jamespropp.